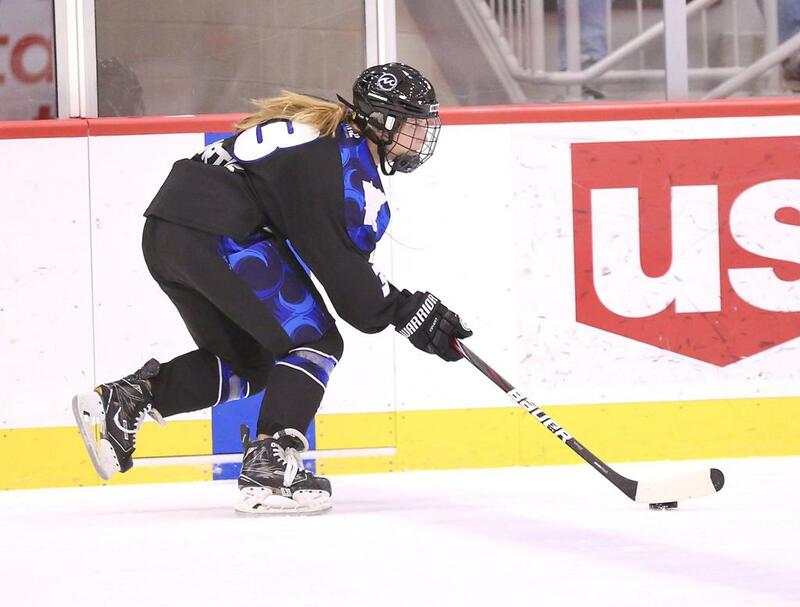 In a battle of unbeaten teams, the Minnesota Whitecaps came away with a 3-2 win over the Buffalo Beauts on Saturday night at sold-out TRIA Rink in Saint Paul. Reigning NWHL Player of the Week presented by VEDA Jonna Curtis increased her league scoring lead with a goal and an assist, netting the game-winner midway through the third period. The Whitecaps improved to a perfect 5-0, while the Beauts, who had not allowed a goal on the season heading into Saturday’s contest, fell to 2-1. The Whitecaps struck first, with Curtis breaking in down the right wing and finding Katie McGovern in the slot, who put a low sliding shot past Shannon Szabados to take a 1-0 lead 5:38 into the game. After peppering Amanda Leveille with shots, the Beauts finally got one past her late in the second, with Maddie Elia tipping in a pass from Hayley Scamurra into the upper left corner to knot the score at one. Minnesota pulled ahead once again in the third. Kendall Coyne Schofield streaked down the left wing and slid a pass to Kate Schipper, who fired past an outstretched Szabados for the 2-1 advantage. Buffalo was quick to answer, with Taylor Accursi burying her first professional goal in a scramble in front to once again pull even. But Curtis’s impressive start to the season continued, as her backhanded shot from in close with 7:04 left held as the difference-maker. Leveille finished with 35 saves on the night to help propel the Whitecaps to their fifth straight win. With the Boston Pride falling to the Metropolitan Riveters on Saturday night, the Whitecaps now remain the only undefeated team in the NWHL. Buffalo will have a shot at revenge on Sunday, as the Whitecaps host the Beauts for the second game of the weekend at 2 p.m. CT/3 p.m. ET at TRIA Rink. Tune in on NWHL.zone/watch. ©2019 Buffalo Beauts / SportsEngine. All Rights Reserved.